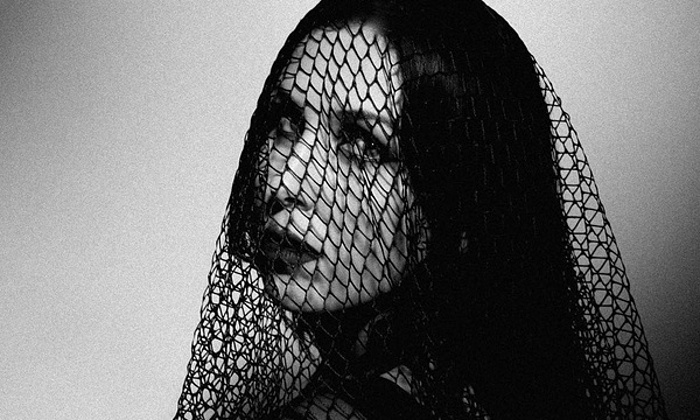 Over the past five years, Chelsea Wolfe has made herself known for her brand of doom-laden folk. Officially breaking into the music scene in 2010 with the deliciously dark lo-fi album The Grime and the Glow, she has since established an impressive underground following since. 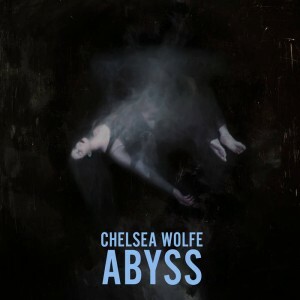 Abyss, her fifth album, touches on subjects such as sleep paralysis, love and anxiety, and truly shows Wolfe’s growth and versatility in her music. Abyss opens powerfully with ‘Carrion Flowers’ and thrusts you into the beginning of a dreamscape, the nightmare, that Wolfe has built alongside regulars Ben Chisholm, Dylan Fujioka, and Ezra Buchla, along with help from guest guitarist Mike Sullivan (Russian Circles). 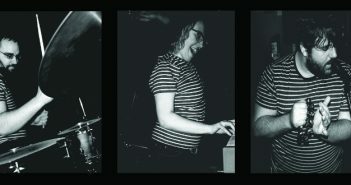 It’s a colossal opener, chock full of distortion and dirty, gritty synthetic drums. The heaviness continues throughout the album, and is particularly prominent in second track ‘Iron Moon’, which hits you like a wave threatening to take you under. It’s entirely heartbreaking, and so utterly beautiful. Wolfe’s voice in this song rings clear, pierces through you, and is accompanied by loud, heavily distorted guitars, and the rich sound of Buchla’s viola. It’s a very emotional track, the highs and lows similar to the moments of being irrational and trying to come to grips with being so helplessly sad, so broken and empty, that your emotions begin to run wild. The quiet/loud dynamic that is heard in ‘Iron Moon’ is reflected in the album as a whole; the first few songs are dense and hard-hitting, and then lulling into the soft, vulnerable ‘Maw’. This song reminds me of the point when you’re slowly drifting back into a comfortable dream, so close to being at ease… until ‘Grey Days’ begins, and you’re stuck in the place between a nightmare and a blissful dream, floating aimlessly, a state that continues through ‘After the Fall’. Eventually, you find yourself faced with ‘Crazy Love’, by far Abyss‘ folkiest song, with guitar reminiscent of Wolfe’s acoustic album Unknown Rooms. Its relatively upbeat tune is a wonderful ruse constructed to lure you further into the depths of your dreamland. Wolfe’s light and airy vocals are soon drowned out by the creepy, cascading sound of the viola later in the track, and we once again enter the void. The reverie continues with the final tracks, all as hard hitting and emotionally crippling as the first few. ‘The Abyss’, the last track on the album, is particularly creepy. Starting with muffled voices, drowned out in the background, static jumping from ear to ear, an out-of-tune piano ringing through the background. The music gets louder, and louder, until Wolfe herself is drowned out by the guitar. And then it stops, and the dream is over. There is an incredible amount of layering in Abyss. Each time I go back to it, I discover something new. For instance, towards the end of ‘Iron Moon’ you can hear Buchla’s muffled screams, and during ‘Color of Blood’ there are heavily distorted, demonic whispers that cling to Wolfe’s words. Or in ‘The Abyss’, during the final verse, after the guitars have been building on top of each other, you hear the unmistakable sound of a heartbeat. Unsurprisingly, throughout the entire album, we are able to hear the true diversity of Chelsea Wolfe’s voice. It changes throughout the album, varying from light and airy, to dark and intense, and still manages to remain the highlight of each track. It’s rare to find an artist that so effortlessly captivates you with their voice alone, and Wolfe most certainly has that effect. It becomes apparent, as you listen to the lyrics and immerse yourself in the music, that Wolfe’s problems with sleep have been a major influence. The entire album truly does play out like a nightmare. It personally reminds me of the feverish dreams I have during a particularly bad night fueled by my PTSD. The frantic need to wake up, or dream of something else, but instead you keep getting dragged further and further into it, no matter how much you thrash and scream. That’s what makes this record such a healing experience; to have something to connect with outside of your own self, that helps ground you and hold onto those feelings in a healthy way. Abyss does it for me, though the difference between nightmares and sleep paralysis are significant. Each song on this album, no matter how upbeat it starts, no matter how beautifully it’s constructed, hides an underlying layer of darkness that holds onto it, which is why listening to Abyss is a wonderfully terrifying experience. Born in San Diego, raised in Kenya, currently based in the UAE. I do lots of things. This is just one of them.